selected The index of the selected button. texts An array of strings to show on the buttons. images An array of textures on the buttons. contents An array of text, image and tooltips for the button. buttonSize Determines how toolbar button size is calculated. int The index of the selected button. 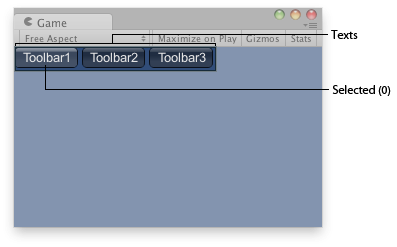 Toolbar in the Game View.